The black, brown and red colors of the brick wall looked extremely neat on a heavy snow day but capturing only the wall made the picture look empty. So I thought of including the dry tree in the left and the hanging pot into the picture. 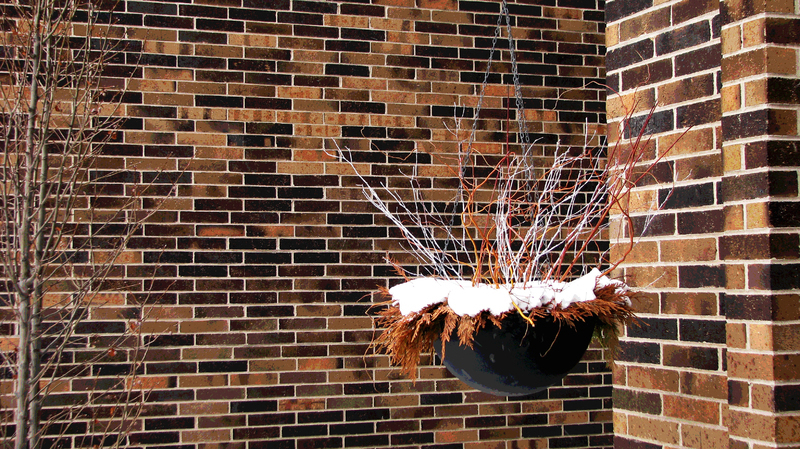 The gray pot is quite conspicuous for its color and completes the picture keeping the impact of the brick wall alive. The picture is qlikd in Program mode using the natural source of light from the left. The photoshop Posterize command is used for creating special effects which is noticeable on the flat surface of the pot. The contrast of the picture is improved using Auto Contrast option.